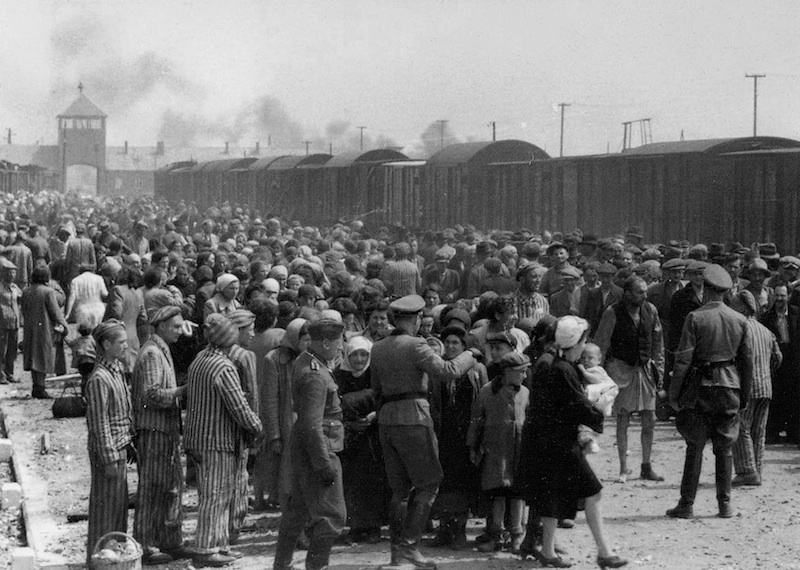 The Holocaust remains a touchstone for strong feelings, as does trauma of any kind. Add epigenetics and questioning if a parent’s life influences their children’s lives and you have a whole bundle of emotive connections. Parents worry about how their lives might affects their children, of course. This and other associations being attributed to epigenetics are making epigenetics a widely-known word. Not all the associations are sound, however. Late last week the English newspaper The Guardian ran Study of Holocaust survivors finds trauma passed on to children’s genes. There’s a side link to an earlier article, Holocaust survivors’ grandchildren call for action over inherited trauma. Over 1800 comments were submitted in response to the story and it was shared nearly 160,000 times. 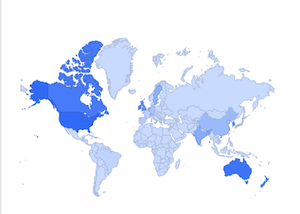 The number of readers will be many more times than those that shared the article with others. More than 5 or 10 million, perhaps? Interest spread out to science sites, to those with connections to the Holocaust and to those touting new-age religious philosophies (for example Deepak Chopra and his sidekick, Rudolph Tanzi). Impressive statistics for science coverage, perhaps – if it weren’t for that the study the article reports isn’t the breakthrough that makes epigenetic inheritance in humans a reality as the title and opening paragraph imply. With all this noise about epigenetics, how are readers to know what is sound and what not? Source: Yad Vashem. The album was donated to Yad Vashem by Lili Jacob, a survivor, who found it in the Mittelbau-Dora concentration camp in 1945. Several sources believe the photographer to have been Ernst Hoffmann or Bernhard Walter of the SS. For the those able to make sense of the technical arguments involved, and are interested enough to make the time, there are scientists who have criticised the research work. A few suggest that the standards need to be raised, with many papers on epigenetics currently so open to interpretation that they are neither here nor there. A few call for the hype over epigenetics to end. What are good guidelines for non-scientists if they encounter something about ‘epigenetics’ or ‘epigenetic inheritance’ while reading newspapers, magazines, websites or wherever else? ‘Dancing flames’. CC 3 Author:Oscar. Source: wikipedia. Be careful of small studies. Another that applies to all science: be wary of claims based on studies using only a small number of examples, particularly if the thing being tested for is complex. How small is small? That’s not easy; for some things it’ll be surprisingly large! In the case of the Holocaust survivor study The Guardian ran, it is small – 32 Holocaust survivors, 22 (adult) offspring with just 8 and 9 ‘controls’ to these, respectively. A small sample size doesn’t make the data ‘wrong’, but it limits what can be usefully said about what was observed. If nothing can really be said (this may be more than ‘just statistical issues) the research becomes uninterpretable, as some suggest. It may come as depressing news that many scientists may have excellent general knowledge of their topic, be very good at the data collecting techniques used in the studies, but not be as good at numerical analysis of the data generated. Epigenetic inheritance in mammals. If you read a claim for epigenetic inheritance in mammals, and that includes us humans: be cautious. Epigenetic inheritance is idea that a change during the parent’s lifetime results in changes in their children in a way that is inherited without altering the DNA sequence itself. Things that are evolutionarily useful are kept. Mammals have kept the machinery to ‘reset’ (almost all of) the epigenetic markers of each new generation. Epigenetic inheritance would have to work around this, or be an exception to the rule. To have confidence in a claim of epigenetic inheritance, we’d want to know how it got around this. True inheritance would be on-going, generation after generation. As far as I’m aware there are no good examples of on-going epigenetic inheritance in mammals – and the Holocaust research study does not set an example, nor is the first to claim it might happen (a claim the newspaper later corrected in a footnote). There are examples of influencing later generations, however. How many generations were looked at? Claims of on-going inheritance in mammals to need show inheritance on for at least two subsequent generations of males and/or three generations of females. The Holocaust survivor study only looked at one generation. Epigenetic inheritance implies that the change in epigenetic markers is passed on to generations that never experienced the exposure event. A key problem here is that males have two generations of cells in them: theirs and (part of) the next generation’s in their germ line cells. 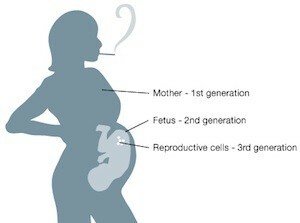 Similarly, pregnant females have three generations: theirs, their infant’s and their infant’s precursor germ line cells. More than one generation can be affected by one ‘exposure’; inheritance occurs when it is passed on to one that wasn’t ‘exposed’. Take a pregnant mother. Nutritional effects could act on the embryo’s developing germline, so that the mother’s grandchildren are affected directly, without any inheritance taking place. That’s interesting, but it’s not epigenetic inheritance. The Holocaust survivor research argues the exposure occurred before conception, but even accepting this it is difficult to rule out other ways that children might be exposed to (say) stress that is a reflection of the parent’s experiences or other cultural or environmental factors. Again, these would be interesting, but they wouldn’t be epigenetic inheritance. How mature is this area of science? You know the thing where something is reported on when in practice there isn’t enough certainty on the subject, never mind the particular incident? Many would say epigenetics, especially in mammals, is a bit like that right now. Science has it’s trends too, and epigenetics is a very popular one. There’s some basic ‘how do we do this stuff’ that needs sorting out. There are many more suggestions, but it’s enough to start with. 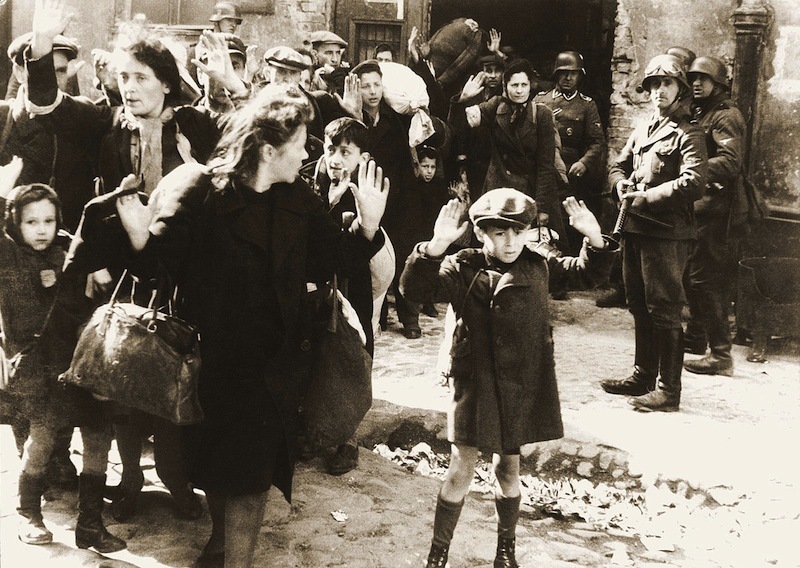 The idea that trauma from events like the Holocaust may effect children of those that experienced the events is interesting, but needs strong evidence as there are many factors to consider. I’ve used two informal terms ‘inheritance’ and ‘influence’. In the scientific literature you’d find intragenerational inheritance and intergenerational inheritance. ‘Intra-’ means ‘within’ and ‘inter-’ between. I prefer the use of the word ‘inheritance’ to be restricted limited to ‘true’ inheritance as I feel the mixed use of the term has the effect of conflating two different concepts and processes, one limited to direct effects on a generation or two, the other to on-going affects, potentially ‘forever’. 2. By journalist Helen Thomson, formerly a biomed editor at NewScientist magazine; also on twitter, @hvthomson. 3. One commenter at the Guardian described the new-age religious philosophy use of epigenetics as ‘hippygenetics’. It captures the essence of it well, I think: a sort of time-displaced fuzzy thinking with added ‘science’ words to give it an aura of credibility. 4. I’ve listed just a few of these below. There are many more general discussions of what epigenetics is and issues with analysing epigenetic studies, especially by and for scientists, but these would be more appropriate in another article focused on the science. 5. I’d add my thoughts here, but would prefer to tackle this in a later post. In particular, I’ve seen no-one comment on the main target of the paper, the gene regulatory sites that their work focuses on. Perhaps, if I have time, I may attempt giving a more detailed account – readers are welcome to express their interest or offer thoughts or suggestions. As for the embargo system itself, where shall I begin? I’ve been meaning to write on these for several years now – to suggest they want to be gone or, alternatively, that they allow scientist-communicators access to them. As one glimpse at the problem: if you are a scientist with an interest in writing about work in your field for general readers, you are denied access to the early release material. This gives to non-experts a guaranteed, effectively as of rights, privilege of getting copy to newspapers, magazines, etc., over someone with expertise who might want to cover it. 7. The term epigenetics means different things to different people. There are discussions about this in the scientific community. The current use of the term seems a bit of mess, to be polite about it. I’ll leave exploring that for another time—sorting that out it’s a bit more involved than this newspaper article deserves and we don’t actually need it to look at it for the idea of epigenetic inheritance that the Holocaust survivor work looks at. 8. DNA methylation. DNA bases can be ‘marked’ with a methyl group – a carbon with four hydrogens stuck to it – one hydrogen is displaced and that bond is replaced with one to the DNA base, sticking the methyl group onto the DNA. Other forms of chemical modification of DNA bases are known; there are also chemical modification of the proteins that DNA is packaged with which are considered epigenetic modifications. 9. Some criticism suggests this may be an issue with the statistics reporting an effect when in practice there may be none. They authors acknowledge in the research paper that they have no mechanism to explain how this might happen. 10. I’m generalising a little here.